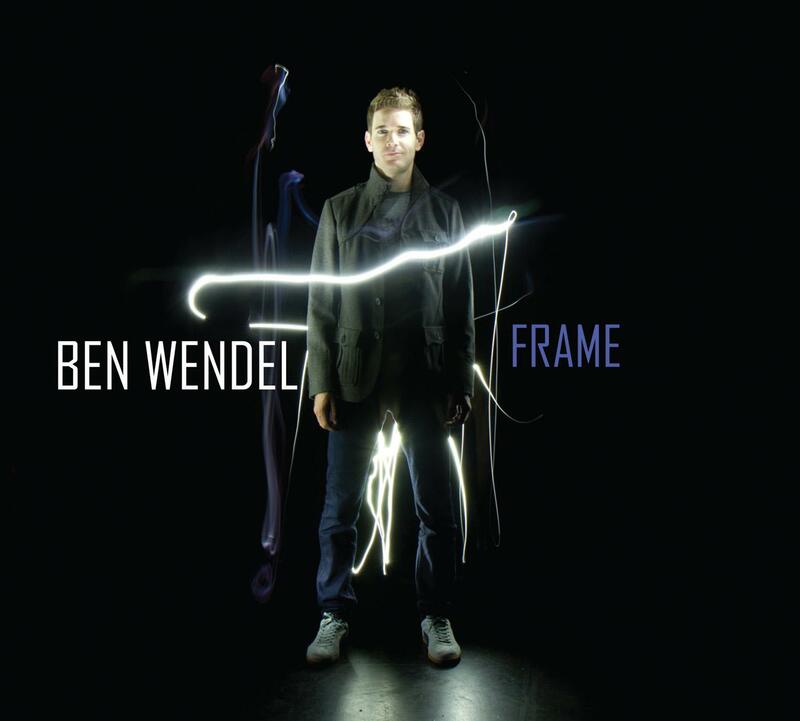 Saxophonist Ben Wendel’s Frame was judged to be one of the best jazz CDs of 2012 on Peter Hum’s Ottawa Citizen Jazzblog, and I hadn’t previously heard any of Wendel’s work, so I thought I would give Frame a listen. Frame begins with “Chorale,” which has a slow, regal theme played by tenor sax, piano, and guitar. The solos begin with Gerald Clayton on piano and then Nir Felder on guitar, playing against-the-grain lines with a reverb-y sound. Wendel then comes in for a tenor sax solo, employing a clean and light (but not weak) sound, playing lines that fit perfectly against the quiet backdrop of the ensemble. “Clayland” begins with a disjointed theme, and then it moves into a second, more intricate theme. Wendel performs an extended tenor solo, playing straightforward but interesting phrases and showing off good control of the altissimo register. Clayton then plays a fluid solo. The ensemble then repeats the two disparate themes for an uncluttered close to the cut. Wendel then does a rendition of Dizzy Gillespie’s “Con Alma” with just himself on tenor and Gerald Clayton on piano. Wendel sounds at first like Jan Garbarek, bending and sliding into notes and using a breathier tone. In his solo, the warmth of his sound is more evident with just the piano for accompaniment, and he spins out swirling, complex lines (also reminiscent of Garbarek). Clayton, in his solo, sounds like Keith Jarrett, with Jarrett’s flowing piano touch. Wendel has subtly altered the tune’s harmony and adds his own little angular line, played in unison with Clayton, to close the tune. This is a fresh and elegant version of “Con Alma,” sort of like “ECM meets Dizzy Gillespie,” so pretty it could fit in on a program of Christmas music. At this point in the recording, you start to get a sense of Wendel’s maturity as a composer and a musician. Next up is “Backbou,” which starts with a light, Caribbean feel, and has Wendel (on bassoon) and Felder playing the theme in unison. Tigran Hamasyan plays a Chick Corea-ish solo. Wendel improvises briefly on bassoon and then the ensemble puts together a strong section to finish the cut. Next up is “Jean and Renata,” which has the Wendel on tenor sax with just bass and drums. The tune’s melody, taken at a mid-tempo, is very subtle, and Wendel seamlessly moves from the melody into his tenor sax improvisation, starting slowly, then increasing the intensity, easily sliding into and out of the altissimo and occasionally dipping into the bottom of the horn. (An interesting aspect of Wendel’s improvising is that, though he is clearly in the spotlight, he also seems to remain part of the ensemble. I think Wendel always has the big picture in mind.) Nate Wood provides lively but unobtrusive accompaniment here on drums. Wendel then states and plays around with the tune’s melody to close out the performance. This is another nice break from the more composition-heavy cuts and highlights Wendel’s versatility. Bassist Ben Street begins “Blocks” with a straightforward, musical solo against a repeated simple pattern of piano chords (which sounds a little like the background for a Billy Joel tune). Wendel, on soprano sax this time, plays the slightly enigmatic melody in unison with Felder. Improvising on soprano, as on tenor, he displays a clear, light sound and straightforward but still interesting phrasing. Wendel then plays a line in unison with Felder’s lightly distorted guitar to close out the cut. “Frame” has an complex theme, played at high speed by tenor sax and piano in unison. Wendel plays a skillful, fleet solo with gliding lines and altissimo shrieks. Hamasyan plays another Corea-ish solo. Then there is some ensemble work during which Wood especially shines, and then the theme is played again along with some strong ensemble work to finish the performance. “Leaving” is a pretty, though ambivalent, mid-tempo ballad. Wendel plays a lyrical tenor solo free of flashy technique and clichés. Next up is an impressionistic, nearly classical-sounding piano solo (though it isn’t clear from the personnel notes who the pianist is; Adam Benjamin, I think). After the ensemble plays the melody again, Felder plays a slick guitar solo. The recording ends with “Julia,” a slower song with a slightly melancholy melody, charming enough to deserve lyrics. Wendel plays a brief, meandering tenor solo, and then there is an acoustic piano solo (Benjamin again, I think) that is mostly composed of chords. Then Felder’s slightly distorted guitar sound and Wendel’s bassoon join the ensemble to end the cut. It’s interesting to compare Frame to Donny McCaslin’s Casting for Gravity (reviewed previously here on AJS). Both recordings attempt a kind of merger of jazz and pop, and, to my mind, Frame is more successful in this, having more imaginative and fresher compositions and arrangements than Casting and a better balance between composition and improvisation. Wendel doesn’t display the sheer virtuosity on Frame that McCaslin does on Casting (though he is an excellent player), and Frame doesn’t achieve the intensity that Casting sometimes does, but I believe Frame presents a clearer and stronger musical vision. I can see why Peter Hum put it on his list of the best jazz recordings of 2012. If Frame is any indication, Ben Wendel is bound to be one of the movers and shakers of jazz in the years to come.